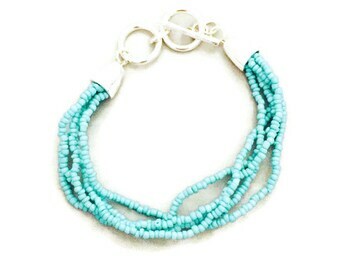 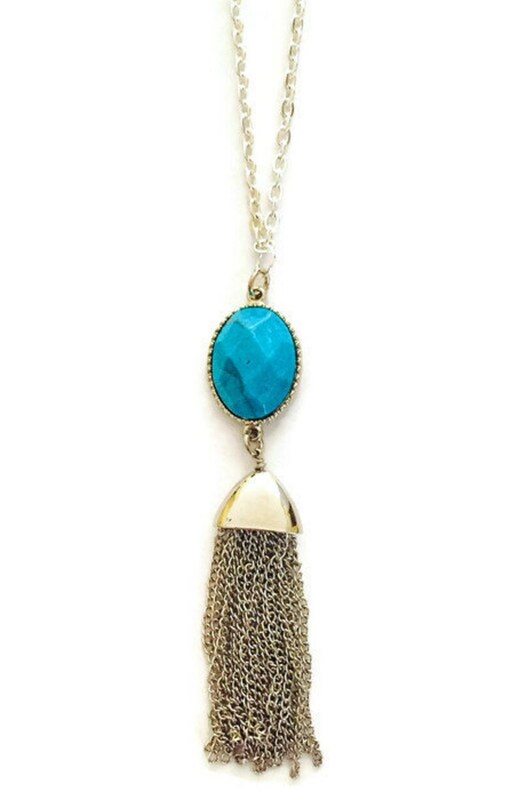 This tassel necklace is on a 30 inch silver chain and also has a turquoise stone to add to the trendy look. 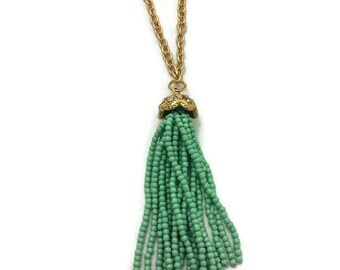 Long tassel necklaces look great with just about any top. 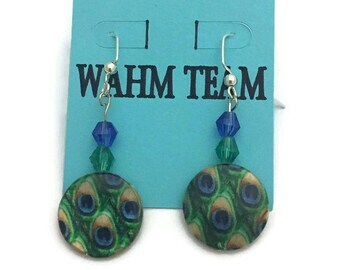 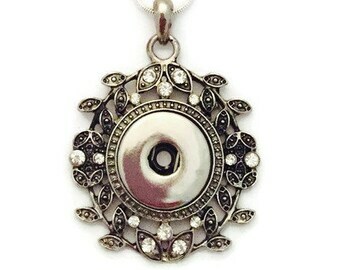 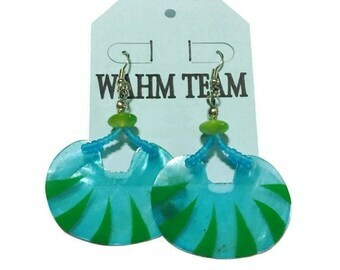 Add this to your jewelry collection. 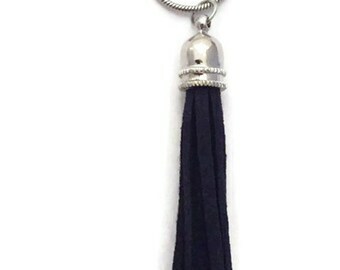 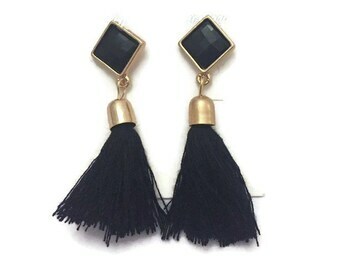 The tassel is made from chain is is about 1.5 inches long.